On Saturday night, inside of the Forum in Inglewood, Calif., living legend and three-division world champion “Sugar” Shane Mosley scored an entertaining knockout over rival Ricardo Mayorga in their rematch. The end came in the sixth when Mosley caught an overweight Mayorga with a thudding left to the rib cage. The former champ from Nicaragua went down for the count, as he again suffered an early ending against his foe from Pomona. Mosley stopped Mayorga in the twelfth and final round of their 2008 battle as well. Not sure what this victory means for Mosley (48-9-1, 40 KO’s) but he has since called out both Mexico City’s Juan Manuel Marquez and IBF welterweight titlist Kell Brook. 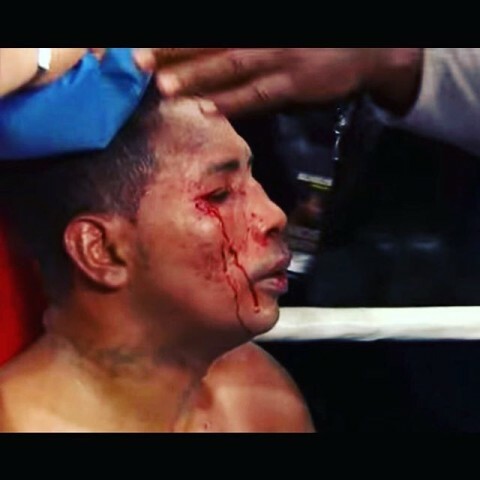 Check below for the ending to Mosley-Mayorga II.